Tomorrow is Monday, the traditional “fresh start” day. I wanted to make a healthy soup that would last throughout the week. I also wanted to use up the veg I had in the fridge, the lentils that have been sitting on my bookshelf in a bag for 6 months, and one of my tins of tomato paste that I seem to be collecting for a rainy day. So here’s what I did. There is no set rule to what vegetables to use, or how much. I just used the left over veg I had sitting in my fridge. Splash in and stir one cup of the boiled water. *How much spice? What if you don’t have coriander? Start with a teaspoon or two of each and keep tasting it and add a bit of this and that until you like it. Use whatever spices you like. Even salt and pepper on its own would be fine. Bring the works to a boil, then reduce to a simmer for about 45 minutes. 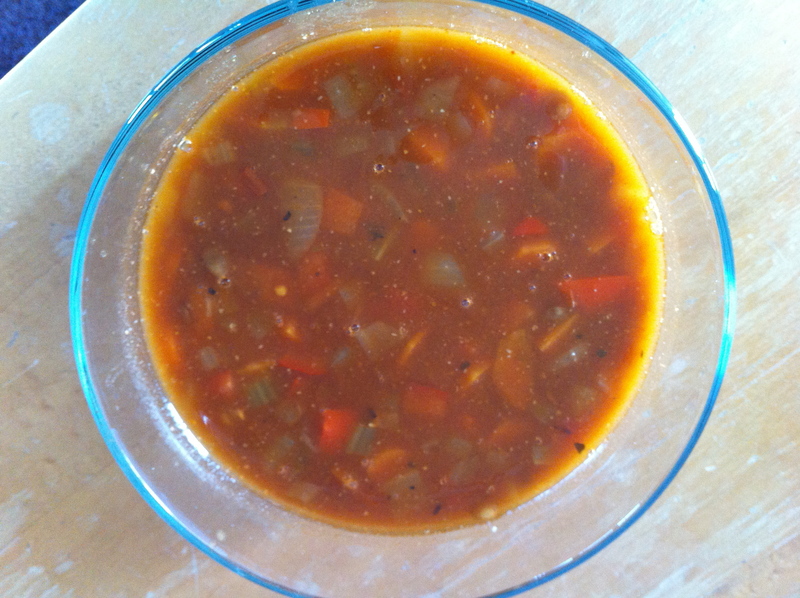 This soup keeps very well in the fridge for up to a week, and can be frozen for months. Previous Post Cally’s Teas – It’s Open – For Real – Really Truly!